5 Event Planning Apps Every Event Planner Needs! As an event entertainment company, we know that successful event planning doesn’t happen by chance—there’s a lot of hard work that goes into it! Fortunately, the digital era has made event organization a touch easier with superb event management tools. Here are a few event planning apps we’d recommend using! Team collaboration can be a little tricky at times, especially when everyone is working around a busy schedule. That’s why we’d recommend Slack, which is a real-time messaging app built specifically with teams in mind. It lets you work in the moment and avoid lengthy back and forth emails. You can organize conversations through open channels, send direct messages, and host private group chats for sensitive topics. This app also integrates with external services such as Google Drive, Dropbox, Twitter, and more. Not only that, you can receive notifications for all these platforms within the app. In this way, it streamlines your workflow by having everything in one place—how cool is that? 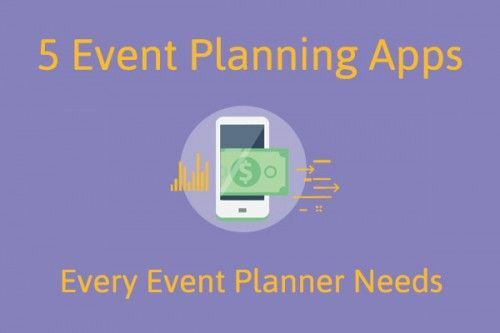 This app is among the best event management tools for event planners. As Whova puts it, this app allows your event to go mobile. 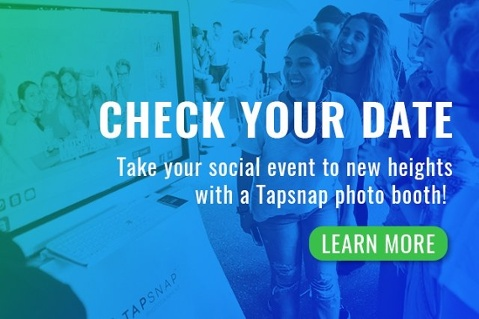 Its main purpose is to provide event attendees with a seamless event and networking experience by connecting them to other attendees and the event hosts through the app. Event hosts can save on printing costs (and reduce paper!) by putting the event agenda directly in the app. They can also send announcements within the app, collect feedback, and upload logistics information. Attendees can check in directly through the app, so it saves time during registration. They can also use the app to access announcements or resources shared by the event hosts, upload event photos, and share information on Twitter. The most value attendees gain from using the app is ongoing networking opportunities. They can explore other attendees’ bios and social profiles, scan contacts’ business cards, or exchange digital business cards to stay in touch. In this way, attendees get more out of their event experience! Successful event planning comes down to organization and great team collaboration. Time is often of the essence when it comes to this, which is why Asana aims to make the workflow as efficient as possible. Like Slack, Asana eliminates the need for email. Instead, it brings conversations and tasks in one place. Asana allows you to group tasks into projects, establish team goals, brainstorm ideas, and schedule meetings. Best of all, it reduces email clutter! Let’s face it, dimensions and calculations can be tedious, which is why Super Planner is so great! This all-encompassing app takes the guess-work out of the planning process as it includes a variety of event management tools. The app contains three sections: Food and Beverage, Audio-Visual, and Venue Capacity. Each section provides the user handy calculators, some of which help in areas of seating, catering, or pricing. The app also includes place setting and staging diagrams to ensure no details are overlooked. It also provides useful tips for projection, PowerPoint and keynotes, and more—who can say no to tips, right? In the event industry, time is precious, which is why Eternity is one of the best event planning apps event professionals can use. It allows you to effectively track and manage your time. You can prioritize your activities and run timers for each, or even set up multiple ones. Once done, you can review your logs, and even run and analyze reports to determine how your time is best spent. In this way, you’re more productive instead of just being busy! These are a handful of tools we’d recommend, but there are many other great event planning apps out there! Remember, successful event planning also includes a solid social media strategy. Here are a few tips and tricks for promoting events on social media effectively. If you’re an event planner who maintains an online presence, keep these online best practices of successful event planners in mind too!